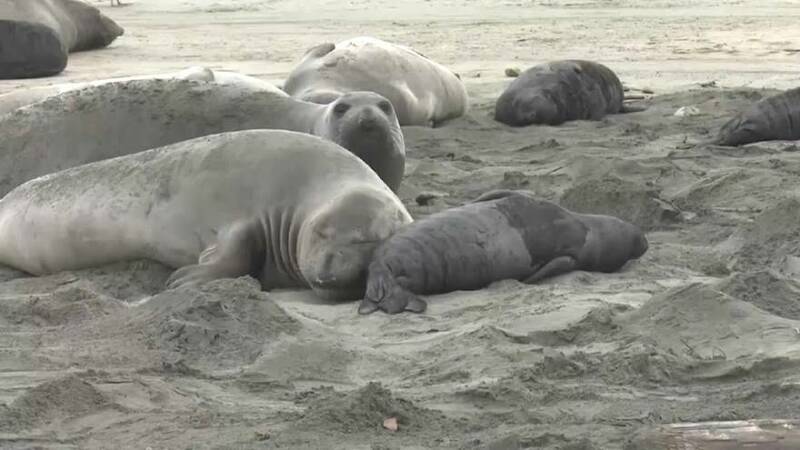 A herd of elephant seals have given birth to more than 35 pups in the last two weeks on a popular beach in California which was closed due to the federal government shutdown. 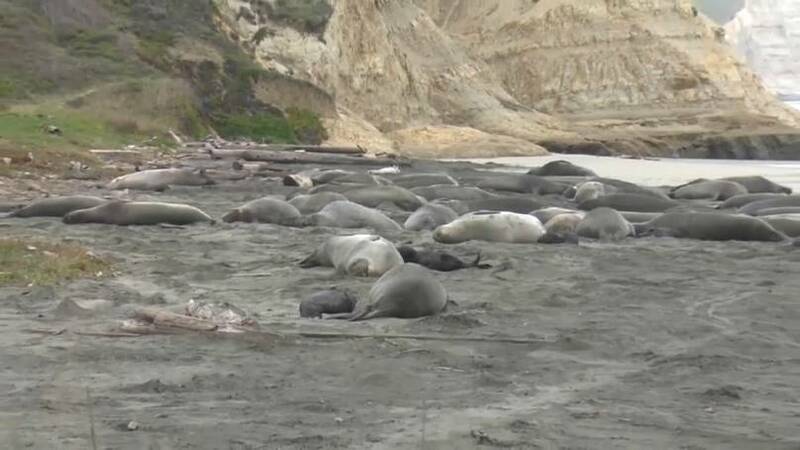 Bad weather pushed the expectant mums and the bull seals away from their usual habitat which is about 51.5 kilometres (32 miles) northwest of San Francisco, to a safer place nearby. They picked Drakes Beach at the Ken Patrick Visitors Centre at Point Reyes. John Dell’Osso, a spokesman for Point Reyes National Seashore park said, “Since Drakes Beach was closed during part of the shutdown, and there were no Park Rangers and no members of the public, that aided in the colonisation of the beach”. Dell’Osso said that two bull seals weighing around 2.5 tonnes gained access to the closed beach by pushing their way through a fence, into the beach carpark and down the wheelchair access slope to the sand. The car park and access road will remain closed until the seals move on. Whenever that may be! Small groups of visitors will be allowed to see the seals this weekend but will have to keep their distance so as not to disturb them too much. 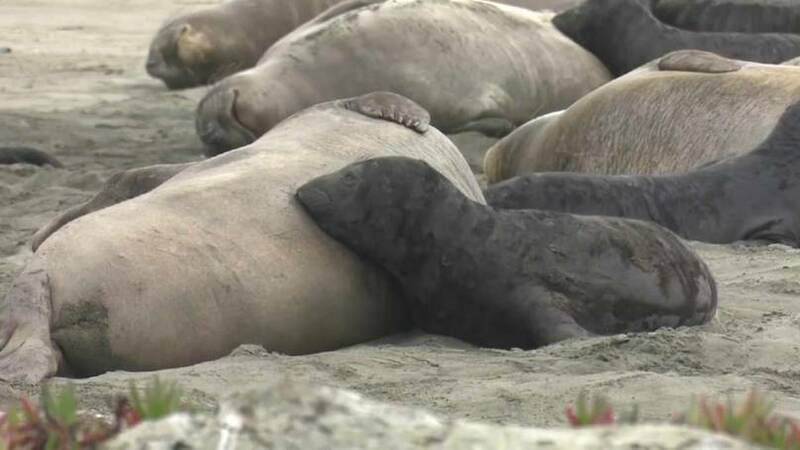 There are around 1,500 to 2,000 elephant seals in a herd, of which these ones are a part. Worldwide, the population is estimated to be around 150,000. They have delightfully made a comeback, for in the early 20th century they were hunted for their oil-rich blubber and were nearly extinct.